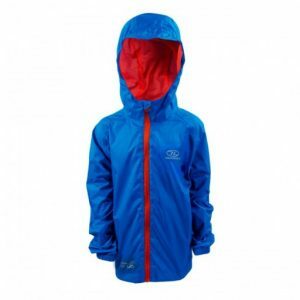 The Highlander Stow & Go Kids Waterproof Jacket is perfect for unpredictable weather conditions. The lightweight Nylon shell is waterproof, windproof and breathable. The Highlander Stow & Go Kids Waterproof Jacket is perfect for unpredictable weather conditions. The lightweight Nylon shell is waterproof, windproof and breathable so will protect you against anything from light showers to heavy downpours. The jacket features adjustable Velcro cuffs and peaked hood, zip chin guard and back vents to provide extra breathability. The Stow & Go jacket also comes with its own convenient stuff sack so it can be easily stow’d when not in use.